Belgian striker Romelu Lukaku showed an example of what’s to come in this summer’s World Cup after scoring a superb solo goal in the 5-1 win against Luxembourg on May 26 in a game that also saw him bag a hat-trick. On loan at Everton from Chelsea last season, the 21-year-old scored 15 goals and made six assists in the Premier League. He’s now scored 32 goals and made 10 assists in his two full campaigns in the English top flight. Belgium are expected to go far in the World Cup, according to ITV, and with striker Lukaku in great form, they could well reach the final stages of the tournament. Juventus midfielder Paul Pogba is well known but has yet to play in a major international tournament at senior level for France. The 21-year-old joined Juve in 2012 and has gone on to win back-to-back Serie A titles and Supercoppa Italianas, as per Wikipedia. Pogba’s fast rise to glory has been incredible. The talented midfielder won the Golden Ball to go with his FIFA U20 World Cup triumph with France in 2013. He only made his international senior team debut in March that year. Scoring seven goals and making seven assists, while also boasting having made 74 successful dribbles and 48 key passes in Serie A, Pogba is set to play an important part in the France side this summer. Certainly one to watch. 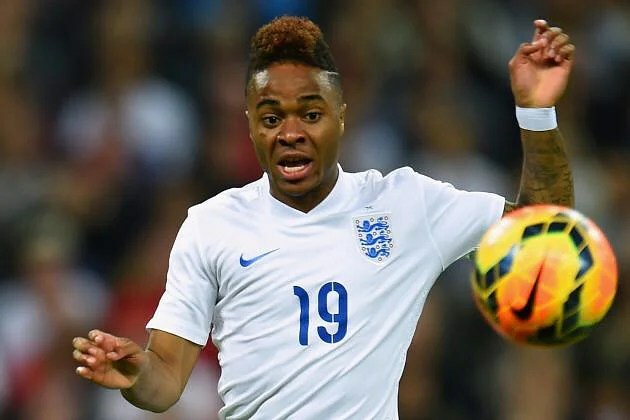 The Premier League’s 2014 Young Player of the Year nominee Raheem Sterling, who currently plays for Liverpool, is another England hopeful who can really make a difference in this summer’s World Cup. The 19-year-old winger scored nine goals and made five assists for the Reds in the Premier League, and he could be an important impact player for England manager Roy Hodgson. While Arsenal winger Joel Campbell came to the attentions of many following his superb curled effort for Olympiakos against Manchester United in the Champions League last season, the Costa Rican international has been in incredible form during his loan spell. Campbell, 21, has scored eight goals and made 12 assists for the Greek side. He returns to Arsenal following his temporary spell with Olympiakos but could be the catalyst for the Costa Rica side this summer and could hamper England’s hopes of qualifying from the group stages when the two sides meet in June. While it can be difficult for newcomers to the Spain squad to force their way into the first team, Barcelona’s Gerard Deulofeu may be one player to whom manager Vicente Del Bosque looks in the World Cup. The 20-year-old spent last season on loan with Everton, scoring threegoals and making three assists. He quickly built up a reputation for his penchant for trickery to beat his opponent, with 44 successful dribbles made, while proving to be a genuine goal threat, too. While he failed to make the initial 30-man provisional squad, Deulofeu was called up for the pre-tournament friendly against Bolivia and could put himself in the driver’s seat for a place on the plane should anyone pull out. He does have Pedro, Juan Mata, Santi Cazorla, Jesus Navas and Andres Iniesta to contend with for a place in the Spain side, but Deulofeu isn’t there to make up the numbers and could be a successful wildcard this summer. Promising PSV Eindhoven winger Memphis Depay is a name to remember. The 20-year-old only made his Netherlands debut in October 2013, but he’s now a player who could play an important part in the side in this summer’s World Cup. Depay has scored an impressive 12 goals and made eight assists in 32 league games. He’s made just a handful of appearances for the Netherlands side but has more than proved he’s ready for the next step. 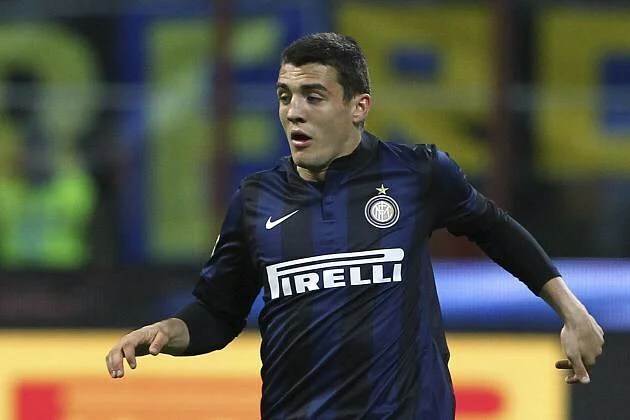 The lesser-known Mateo Kovacic of Inter Milan is perhaps devoid of notoriety but not quality. The 20-year-old Croatian international has featured in all but six of the Nerazzurri’s league games last season. He’s a box-to-box midfielder who drives the ball from deep and into dangerous areas in the final third. Kovacic has made four assists in the league and boasts 71 successful dribbles from midfield. He’s also made 44 tackles and 28 key passes. The Croat played a pivotal part in Inter finishing in a Europa League place, too. Germany boast an impressive midfield in their World Cup squad, but Schalke’s Julian Draxler is certainly one of the most exciting. The 20-year-old has enjoyed a good campaign with the Bundesliga outfit, scoring five goals and making seven assists in the league and Europe. Draxler averages more successful dribbles per game than Chelsea’s Eden Hazard, Bayern Munich’s Arjen Robben and Barcelona’s Neymar. Such is the strength of the Germany midfield, Draxler could be limited to substitute appearances, but he’s sure to impress when he does get on the pitch. Everton’s exciting midfielder Ross Barkley is a player who could make the difference for England. Such has been the impressive nature of his performances this season, Barkley has been compared to former England attacking midfielder Paul Gascoigne by his own club manager Roberto Martinez, via ESPN. The 20-year-old has enjoyed a superb breakthrough season with the Toffees, scoring six goals and making 80 successful dribbles in 34 Premier League games from midfield. He’s more than merited his call-up for this summer’s World Cup and will look to make an impression. Fearless Barkley has shown himself to be unfazed by the occasion in games and will certainly get minutes on the pitch for England in the World Cup. Ivorian defender Serge Aurier is tipped to have a good World Cup with Les Elephants, as reported on ITV. Last season for French side Toulouse, the 21-year-old scored six goals and made six assists from right-back. He’s deadly going forward, evident with his 191 crosses being made in Ligue 1, and he’s comfortable in possession, with 1577 passes attempted and 1213 completed. Bryan Ruiz, nicknamed “The Weasel” in his days at Alajuelense, is the side’s key creator as attacking midfielder or second striker. Unappreciated at Fulham he is thriving after being sent on loan to PSV Eindhoven. Alvaro Saborio was top scorer in qualifying but has a hot temper, once reportedly kicking a ball at a child during an open training session. Standing at 5ft 5in, Jorge Luis Pinto bears all the hallmarks of short-man syndrome. Never short of a terse word in press conferences. 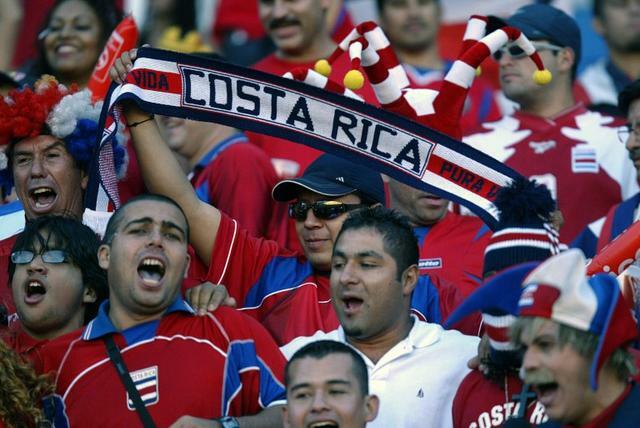 Costa Rica is sometimes known as the Switzerland of Central America because of its peaceable nature but there is no shortage of passion when it comes to fighting Honduras for regional football supremacy. Any meeting between the sides would also have the added flavour of pitting two Colombian coaches against each other. The team have asked for the Hotel Mendes Plaza to build a large relaxation room with sofas, TVs and videogames. It’s in the port city of Santos, so they can perk themselves up at the Coffee Museum or hope some magic will rub off from the statue of the local club’s most famous player, Pelé. Beat the USA and Mexico on their way to second place in the six-team North American group. Reaching the last 16 at Italia ’90, beating Scotland and – more impressively – Sweden in the process. Losing all three of their group games, conceding nine goals, in Germany in 2006. An impeccably-drilled outfit of small, compact midfielders and big, leggy strikers. An impeccably-drilled outfit of defenders, defenders and more defenders. Pinto likes his 5-4-1 formation, and against the bigger nations, expect it to get another outing. In the tenacious battle of fruitful work, reddening the face of man, conquered your children, simple peasants eternal renown, esteem and honour. Slip on a poncho and make it rain with ticker tape. Look unimpressed if anyone asks you the way to San Jose. Costa Rica has no standing army. Cue plenty of jokes about having a shabby defence.